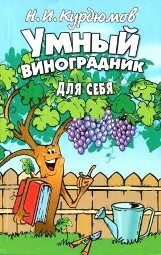 Grapes - one of the oldest crops grown man. For the beauty and variety of shapes, size, color berry, vine stands out among other fruits. 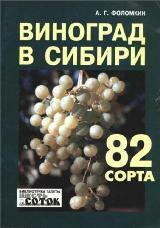 Currently, the grapes - the most significant in world culture in terms of gross harvest. 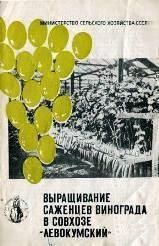 The site shows more than 200 varieties of this wonderful plant. 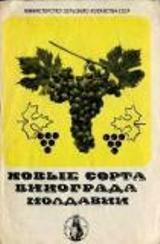 Grapes are successfully combines valuable business properties with beautiful decorative qualities. It is used to decorate homes, green towns and villages. The grapevine belongs to the lianas, that is, the winding and climbing plants that are able to climb up. This ability to develop in grapes, like other lianas as a result of long evolution and became one of its biological features. It is in the wall and bowline culture grape plant can display their properties more clearly than in normal conditions of the vineyard - with tubeless squat bushes. As a rule, when growing grapes in the cultural contexts shape the crown growers according to their own requirements, which generates a large variety of shapes and sizes of shrubs. On our website we explain how to care for young vines and fruit-bearing vines, as well as introduce you to tabs the main stages of the vineyard. 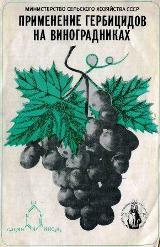 Grafting, breeding, wintering grapes - all of these questions are revealed in the pages of this site. The vine requires us not only specific knowledge and skills, but also very intense physical labor. But this load is not a burden. Work in the fresh air, friends and relatives - emotional contact with the ever lively and always enigmatic nature. As it drags and invigorating! What pride we feel aesthetic pleasure, picking up a freshly cut bunch of grapes, not imported from some fertile territories, not extracted in this inhospitable market, and brought up with my own hands! Another important factor is the other side of the case - the material. For example, on two acres at an average crop of grapes can reach 400 kg, and this is not the limit! But is measured in kilograms or material values, and that the charge of Health, which receives annual family thanks to the generous vine? 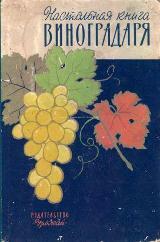 In the summer - is a fresh vitamins, and in winter - no less useful for a family piece juices, which are stored for a long time the most valuable components and properties of solar berries, slightly dried grapes, in which the sugar content reaches 50%, raisins, sultanas, such popular and well known culinary products as juice, jam, candy, homemade wine and many other products of viticulture. All these products will charge you for a long time a good mood, will give strength and support health all year round! In conclusion, we note: grapes - a wonderful and versatile healer. Its regular consumption of truly transforming our bodies: it contributes to alkalinity of the blood, enhances the oxidative processes, beneficial effects on the endocrine glands, improves bowel, increases resistance to infections, strengthens the nervous system, but perhaps the most curative effect of grape shows in liver disease, biliary tract, kidney and heart, as well as gout and metabolic disorders. We have for what and for whom to try! Good luck to you in this truly magnificent affair!